Armadillo Stuffed Animal Plush 20" from Animal World® looks Armadillo lover great! Made of brown detailed plush this armadillo stuffed animal is awesome and measures 20"L x 7" x 6". 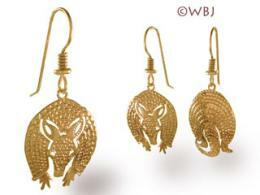 Shop our Armadillo Gifts Store at Animal World® page for all our Armadillo theme gifts.